Forensic dentistry is defined as the branch of forensic medicine that deals with identification through teeth, dental apparatus and their markings. 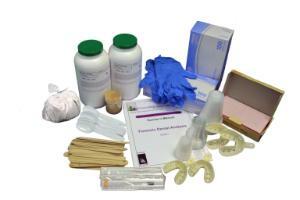 The activities in this kit will introduce students to forensic dentistry while they try and identify the suspect in the case. The eight different activities in this kit include the concepts of creating a dental chart, creating a dental casting, creating a bite impression, identification of a patient from dental records, metric analysis of castings and metric analysis of bite marks.